Vintage Clothing Blog | Vintage Wedding Dresses | Salvage Life: To Sell or Not to Sell? 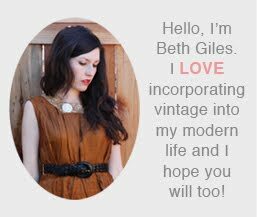 As a vintage seller, I find that I actually don't save that many things for myself. I remember working retail for years and for some reason I would never want to buy the things I saw all day. Maybe it's that or maybe it's just because I enjoy selling things even more than I enjoy vintage. Whatever the reason, there are a few things I have held onto over the years and beaded purses are one of them. They are just so pretty! I don't think I have used one of these, they just sit in my closet. So, I am thinking that I might put them in the shop to give them a chance to be used. What do you think? OOoh - I love the first one!! (top left) Those are really pretty. I was the same way when I worked retail. Very pretty! I love seeing them all together, they look beautiful. Sometimes you just need to treat yourself! i say keep two, sell the rest. I also have a collection of purses similar to yours-- also never used. What is there about vintage purses!! I'll be keeping an eye out to see what you chose to do.